I’m not going to lie, these shoes are already in my basket. I just haven’t brought myself to check out yet. I love a pretty pair of heels and these are really unusual! I think these would look amazing with some jeans or smart black trousers, with a patterned shirt for that pop of colour. I haven’t worn pointed shoes for ages and I am in love with these, so I may be going through with my purchase. These ballet flats are so pretty, I love the strap across the foot as well as the ankle strap, they add a bit of detail to what could be a really boring ballet shoe! I think these shoes would go perfectly with a ‘princess’ day dress or some jeans with a t-shirt and a leather jacket for a more casual look. I’ve been seeing these everywhere over the past week. The jewels and glitter on the heel and ankle strap drew me in to looking at them on ASOS, as well as one of Sarah Ashcroft’s Instagram photos. If you a regular reader of my blog you will know I absolutely love to wear red, it is my favourite colour to wear. These remind me of vintage heels and I think they would look stunning with an LBD or a black jumpsuit. I think they’d be amazing for parties in Autumn/Winter too. 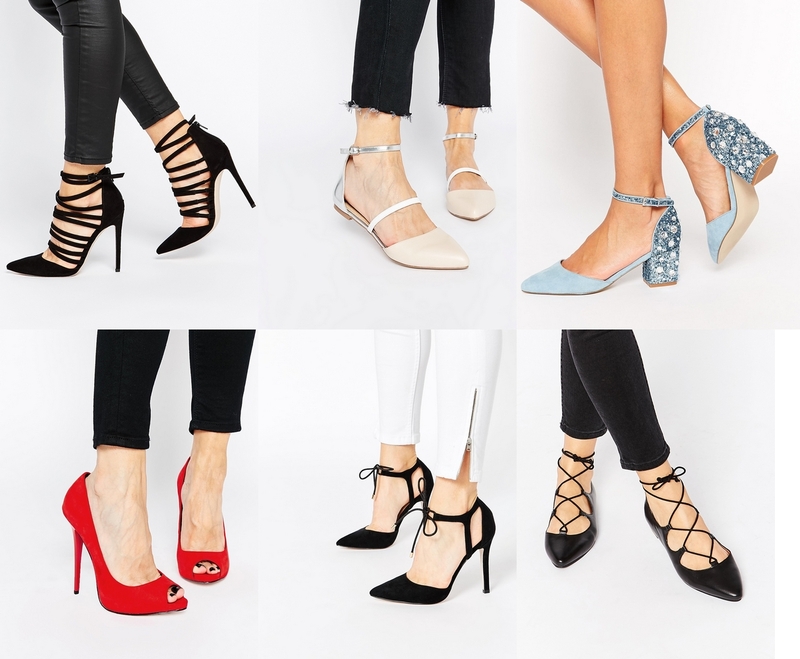 I think I’m obsessed with heels, pointed toes and lace up shoes at the moment! These look incredible, I would wear them with absolutely everything just because I think they’re so gorgeous. Also, they’re black so they will go with everything. I’ve seen designer versions of these shoes and I’m glad to find some affordable ones! I’m bored of plain ballet flats and I think these have that little bit more detail, that makes them chic and a new take on ballet flats. These would look perfect with any outfit I think! Especially jeans and a nice pair of trousers.